I can't tell you how many movies I've purchased touting "Digital Copy," only to get it home and realize it doesn't work with Android. The reasoning behind Android's omission in the digital movie realm can be speculated and theorized till DRM death but as an Android user and movie consumer I have found this exclusion ridiculous and borderline illegal. Maybe it has something to do with the fact that Android users are more likely to actually want to enjoy the media they pay for in a manner that best fits them, not big brother. It seems I'm not alone and Pavtube brings the ChewTune software, the DRM converter tool that converts Digital Copy and other DRM-protected contents to fits for Android devices. Before conversion you need first to transfer Digital Copy to computer in Windows Media (.wmv) or iTunes video format (.m4v). And here we go with the DRM removal process. Install Pavtube ChewTune ($29) to your computer. Make sure the software is compatible with your computer. Step 1. Run ChewTune, drag and drop digital copy movie to the software. Step 2. Select an Android friendly format, e.g. 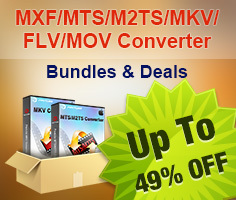 H.264 .mp4 for conversion. There are optimized format for Galaxy Tab, Xoom, HP Touch Pad, Acer Iconia Tab, Eee Pad Transformer etc. Basically the “Common Video”>> “H.264 Video (*.mp4) is an universal format for Android tablets and smartphones. Step 3. Click the big Convert button to transfer Digital Copy to Android tablet/phone supported videos. Launch iTunes, and switch to “Movies” under LIBRARY. Select the videos you’d like to convert, right click on them, and select “Get Info”. Switch to “Options” tab, find “Remember position” and select “No” from its drop-down list. Click “OK” to confirm. How to Add Videos to Android Smartphones via USB Connection?